Bakermat is off to an incredibly strong start so far in 2016. February saw him release one of our favorite tracks of the year in the form of “Games,” and March saw him follow that up with the equally impressive Ballade EP. 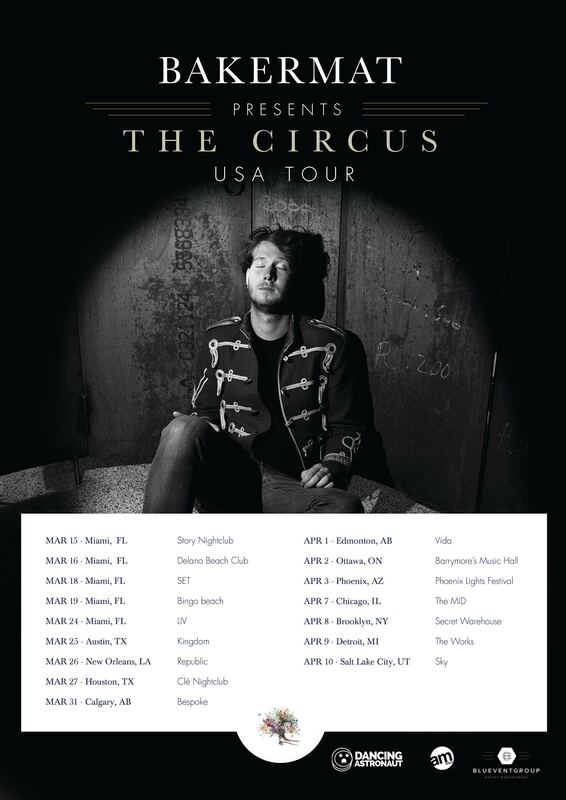 Now, following a whopping five performances last month during Miami Music Week, the producer is embarking on his The Circus USA Tour. Tonight, Bakermat will take the tour to Brooklyn for a special warehouse show at a secret location, and we highly recommend that you find a way to be there. If you’ve yet to see him live, trust us when we say it’s a treat. His melodic and joyful sets are sure to get you moving and when he brings along live elements like a saxophonist or trumpet player, it really takes things to the next level. You can purchase tickets for tonight’s show right here, and for a full list of stops on Bakermat‘s tour, see the poster below.